At Worldwide Supply, we’re thrilled to announce our partnership with RADWIN — a leading provider of broadband wireless solutions. As two companies with similar approaches to quality and service, we’re excited to offer RADWIN’s products, which include enterprise and residential broadband products that allow businesses and consumers to do more with their wireless network. Leader. Innovator. Partner. All describe RADWIN, which is the unequivocal leader in delivering high-performance broadband wireless access solutions that offer fiber-like quality. In fact, for more than a decade, the company has provided the fastest wireless available, reaching six Gbps — or billions of bits per second — in 2018. As a result, Tier-1 carriers and Internet Service Providers (ISPs) across 170 countries trust RADWIN. Becoming an industry leader, as well as achieving numerous milestones, stems from RADWIN’s driving goal — to make broadband connectivity available everywhere. 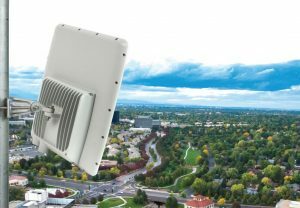 RADWIN recognizes the challenges that come with that mission, from physical to economic barriers, which is why the RADWIN team develops broadband wireless solutions that target, combat and overcome these hurdles. RADWIN also prides itself on the quality of its solutions, which is why it carries ISO 19001 and ISO 14001 certificates, plus is certified by the Institute of Quality and Control (IQC). JET Series: As one of RADWIN’s most successful products, the JET Series delivers a fiber-like experience through the company’s innovative Bi-Beam™ technology. What’s unique about Bi-Beam™ is that it offers the most extended range and highest industry capacity, as well as best-in-class radio interference immunity. All products within the JET Series, which includes the JET DUO, JET PRO, JET AIR and JET, are also built with carrier-grade equipment to extend their life and reduce maintenance. The JET Series design also lets you optimize your service area, delivering coverage with fewer towers, backhaul and base stations. SU Subscriber Series:The partner to the Jet Series is RADWIN’s SU Subscriber Series, which features high-capacity, multiband units for customers. The SU Subscriber Series family includes SU PRO, SU AIR, TurboGain and HSU. As each of these units offers a straightforward and hassle-free installation, as well as the Wintouch Alignment Assist smartphone app, you can expedite the installation process without sacrificing quality. An additional feature of the SU Subscriber Series is RADWIN’s included service-level agreement (SLA) and best-effort for enterprise and residential consumers. RADWIN also offers several other solutions, including Smart-Node, RADWIN2000, FIBERinMOTION® and more. Optimize our service offerings:Since our start, we’ve dedicated ourselves to providing a comprehensive suite of services. By partnering with RADWIN, we continue that commitment by expanding our service offerings with a set of high-quality, industry-leading products that deliver measurable results to our clients, from decreased costs to increased customer satisfaction. Improve our partnership offerings: As your partner of choice, we understand the necessity of a mutually beneficial experience. That’s why we continue to establish new relationships with trusted industry leaders, like RADWIN, to improve our service offerings and our clients’ operations. The result is an enhanced partnership with you and your company, delivering the products and services you need in one place. We’re confident in our own service offerings as well as with client satisfaction with RADWIN products. The teams at Worldwide Supply and RADWIN are excited to begin this new venture as lasting partners. If you’d like to learn more about our partnership, plus RADWIN products and technology, contact us today!